Interview with Dina Velásquez about her participation in a South to North delegation from October 3-11, 2013. 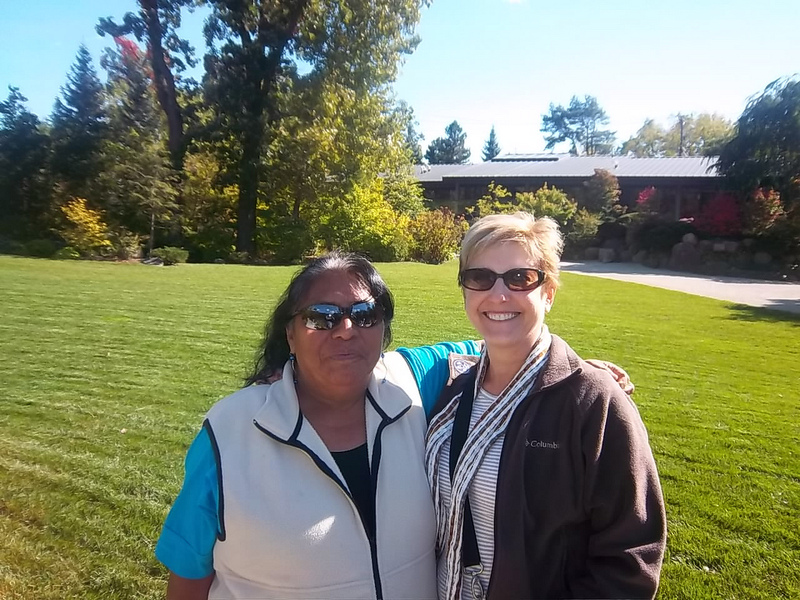 Dina and four other women from UPAVIM in Guatemala City visited their sister community at First United Methodist Church in Downers Grove, Illinois. What were your most powerful experiences during the delegation? I liked going to the women’s shelter the most. You can see the women are well-cared for. They are at the shelter of their own free will and their children can stay with them. The women can also work and go to trainings, depending on each woman’s situation and history of abuse. The work this group does is really great. I also liked spending time with members of the church in Downers Grove. One day they gave us the opportunity to talk about UPAVIM and what we do in front of the whole church. You could tell people were interested and attentive and they came up and asked us questions afterward. Delegates and members of DGUMC volunteer at the food bank. We participated in so many important activities. It was really powerful to go to one place where there are community gardens. They plant food there and then people can go buy it. The people of color in that neighborhood are marginalized, there are not many work opportunities, and society doesn’t treat them very well. They told me the history of this community and it was powerful to hear, because it is the same in our country – there are places where people marginalize others. I also liked participating as a volunteer. 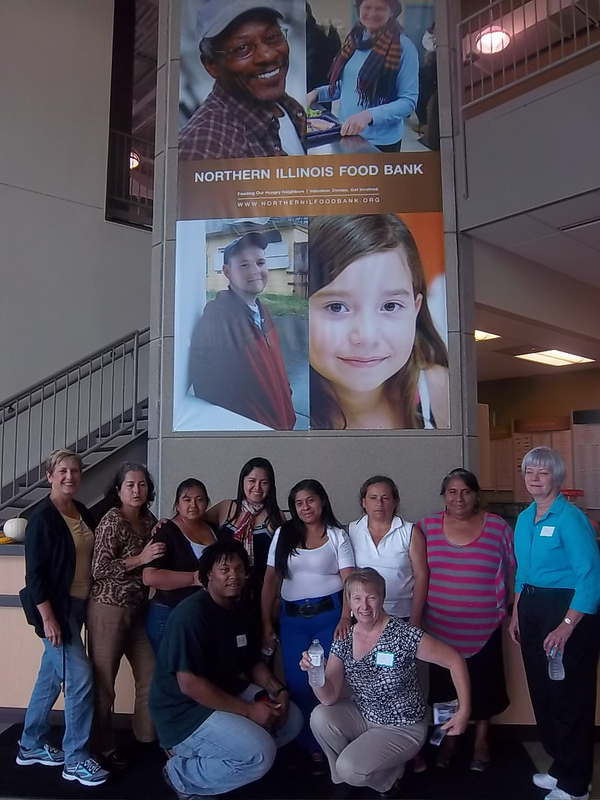 We went to pack food at (the Northern Illinois Food Bank). I have always had this dream of one day working as a volunteer, without asking for anything in return. The people at the food bank do so much. They collect food donations, look for volunteers and go give the food to women, children and men living on the streets. Are South to North delegations important and, if so, why? South to North delegations are important because it’s important for us to participate in the north. We could feel the love of our brothers and sisters and we could see all of the work that they do to support us in Guatemala. We can see all of the activities they organize, including the craft sales to raise funds so that we could have this opportunity to travel to a different country. They worked so hard and didn’t waste any time. They get up early and go to bed late – we don’t always do that. We can see how they live, and when they come here, they can adapt to the way that we live. It’s incredible to see this. The houses are so big, but there were just two people and their pets living there and their children live far away. The delegations help to strengthen us, to get to know each other better, to talk more with God, and to be closer to God. They help us to be strong in our efforts for our sistering relationship. The delegations and the time to be together are very important. What are your hopes for your Sister Parish relationship? I hope we can strengthen our relationship even more. I have been talking with the new president of UPAVIM about how I want to strengthen the relationship, so that we don’t lose it. There are a lot of new people in UPAVIM and they don’t know much about Sister Parish. We want them to learn. We want to talk to them to explain. We also want more communication with our brothers and sisters in the north. We are talking about one idea we have to set up a mailing system. We thought we could put a bag near the bulletin board in UPAVIM and people could leave letters and messages there. Once a month someone could give the letters to Sister Parish to send to Downers Grove. 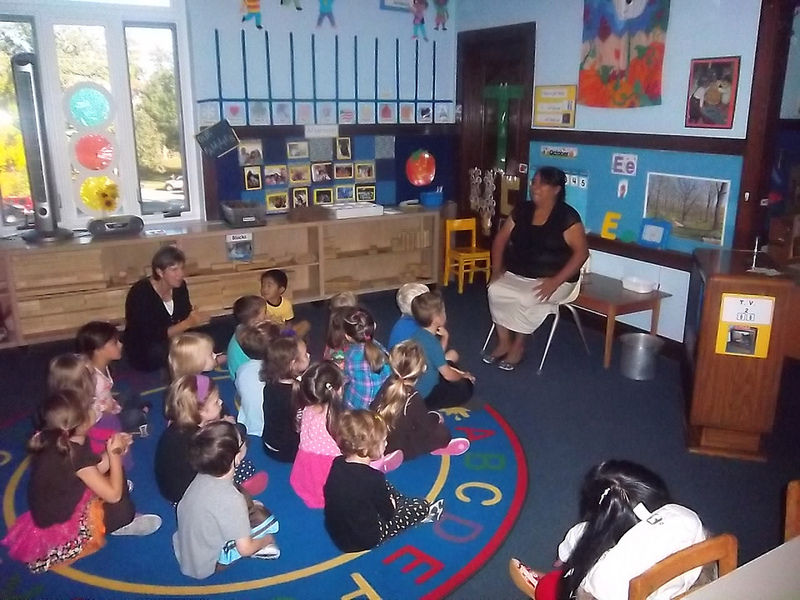 Dina shares a song with a pre-school class during the delegation. All of the activities on the delegation were lovely and we enjoyed every one – the zoo, the Japanese garden, everything. I am so grateful for the opportunity that God gave me and for the work they did at Downers Grove to make it possible. It was a really beautiful experience. Sister Parish helps us through prayer, the bonds of friendship we have, and the opportunity to learn about how other people live…There is a lot of discrimination in this country, but we don’t have that (in Sister Parish) – they come and adapt to our reality. That’s very important for us. The love we have for our brothers and sisters is always in our hearts, just like the love we have for God. God is always in our heart and they are a part of God. This entry was posted in Delegations, General, Guatemala, South to North, United States and tagged delegate reflections, delegations, downers grove, south to north, upavim. Bookmark the permalink.